Product prices and availability are accurate as of 2019-04-22 20:47:53 EDT and are subject to change. Any price and availability information displayed on http://www.amazon.com/ at the time of purchase will apply to the purchase of this product. 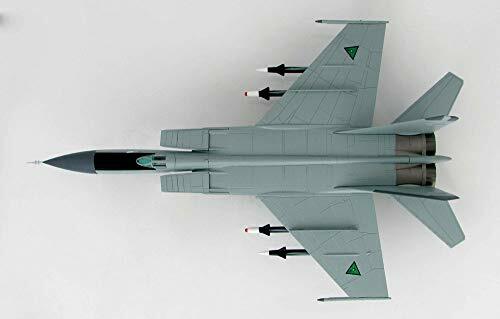 A newly tooled release from Hobby Master, this 1/72 scale, die cast model is a reproduction of the MiG-25 as it appeared in service with the Iraqi Air Force and it is thought to have shot down US Navy Lt Scott Speicher's F/A-18 Hornet during the 1991 Gulf War. 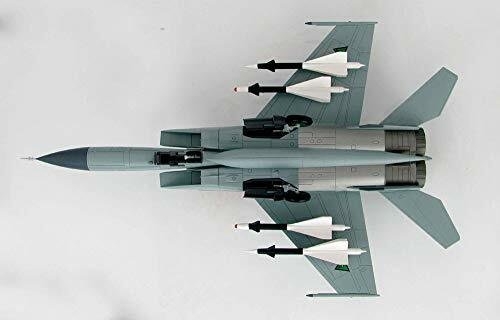 The model features engraved panel lines, a sliding canopy, a well-equipped cockpit (with instrument panel details and a removable pilot figure), realistic air intake and afterburning engine exhaust nozzles, optional-position landing gear, and a mid-flight display stand. Measures approximately 13 in long with a 7.75 in wingspan.